There are 19 reviews of Vanille Abricot. Opening is a fruity, floral cotton candy. The drydown is more of a pleasant vanilla. Smells pretty good and seemed more than just a novelty, could be good for everyday. Projection is average but longevity is decently good. I got a sample of this when I ordered other fragrances online. Gosh, Clinton was in office, so, a long time ago. I am drawn to unique things, and at the time, it was unlike anything else I'd tried. I did love it, I wore it, but when it ran out, I didn't feel like I needed more. It *is* sweet, and in the end it wasn't me. I have tried almost the entire CSP catalogue, and one of the certainties is that every issue will be distinctly linear in construction. When they get it right, you get a fun fragrance, well executed, and plenty of potency. When they get it as wrong, as they have with Vanille Abricot, you get the smell of strawberry candy clinging to your skin for almost the entire day. Not enough apricot and too much burned-sugar vanilla. Yummy in a gourmand way, if smelling like caramel is what you’re after. I had hoped for a fresh apricot and light vanilla, but the fruit has been cooked and combined with a gooey topping. Too sweet for me. 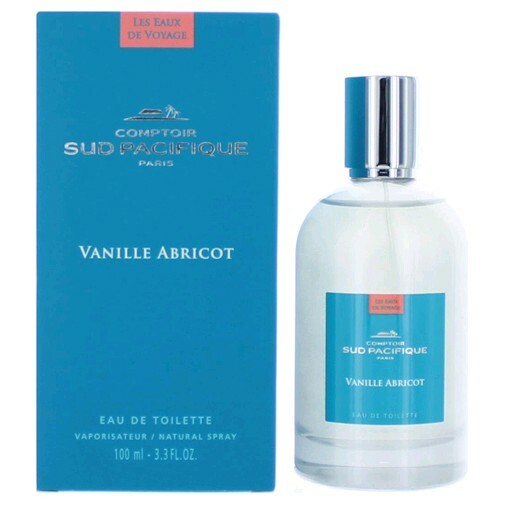 VANILLE ABRICOT -(Vanilla Apricot) Comptoir Sud Pacifique Type -2.5 oz EDP! There are no member images of Vanille Abricot yet. Why not be the first?